The Boston law firm of Breakstone, White & Gluck is advising Massachusetts and Rhode Island residents who have suffered injuries resulting from the DePuy Synthes Attune Knee System about their rights to seek compensation in connection with these injuries. If your Attune knee replacement failed, you should be focusing on your physical recovery. You should not have to pay for your own medical expenses or other financial losses. DePuy Synthes has marketed the Attune Knee System as a state-of-the-art medical device, offering patients greater range of motion and shorter hospital stays. But instead, many patients have actually suffered debilitating injuries and required a second revision surgery, just months and years after the Attune Knee System procedure. This is a major failure. In most cases, patients should be able to expect up to 20 years of use from a knee replacement. Most people who are injured have no way of understanding the full extent of their potential losses without consulting an experienced lawyer. At Breakstone, White & Gluck, our Boston product liability lawyers are experienced and skilled in representing individuals injured by defective medical devices. We offer a free legal consultation and can help you understand your legal rights for seeking compensation for medical care, lost wages and pain and suffering. Contact Breakstone, White & Gluck at 800-379-1244 or 617-723-7676. In 2010, DePuy Synthes received Food & Drug Administration (FDA) approval to market the Attune Knee System. More than 700,000 patients have been treated with the knee prosthesis, which is stabilized by a cement fixation surface which can become loose. The FDA approved the knee prosthesis as a Class II medical device under the controversial 510(K) process. This process provides an expedited approval process to manufacturers who demonstrate their products are “substantially equivalent” to other approved medical devices. Manufacturers do not have to provide any proof of clinical testing, a major cost savings. Critics say the process compromises patient safety. Over the past decade, more than 1.7 million patients have been injured by their own medical devices, according to the International Consortium of Investigative Journalists, which reported on injuries in late 2018. Many of these devices - the Attune knee replacements, hip implants or surgical mesh - were approved under the 510(K) process. When the Attune knee replacement fails, patients can experience chronic pain, swelling and decreased range of motion. According to a published report, the FDA has received 1,400 reports of injuries related to the Attune knee system. More than 600 patients have required revision surgery. As a result, DePuy Synthes is facing lawsuits from injured patients alleging premature failure of the Attune knee system. Some of the first lawsuits have been filed in Alabama, Florida and Missouri. Patients with a defective Attune knee prosthesis require close medical supervision from an experienced orthopedic surgeon. You may require a second revision surgery in the near future. While any surgery can have complications, revision surgeries may require more recovery time. Without legal representation, patients may face additional hurdles in dealing with their orthopedic surgeon and medical bills. Between medical care and recovery, you may not be able to work or maintain your normal routine or family responsibilities for a period of time, while you still have to cover your household expenses. Our personal injury attorneys are recognized as leaders in the areas of medical malpractice, medical device injuries and product liability. We can help you be proactive and represent your best interests as you seek medical care, so you are not held financially responsible for your treatment. We can also help you seek compensation for lost wages and pain and suffering. If you have been injured by an Attune knee failure, learn if you have the right to seek compensation. Breakstone, White & Gluck has more than 100 years combined experience representing clients in personal injury claims in Boston. 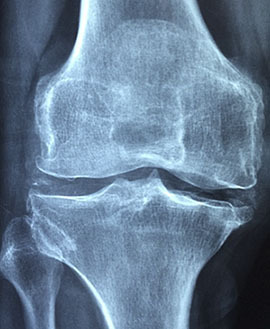 We are assisting patients across Massachusetts and Rhode Island with claims for defective Attune knee replacements. For a free legal consultation, contact us today at (800) 379-1244, (617) 723-7676 or use our contact form.